Another gorgeous lakeside setting, Te Anau is the gateway to the Fiordland National Park. Destinations, Destinations, Grand Tour, Top of the South Tour, Videos! ....Video tour what you could be driving round....with no need to start that early! Destinations, Grand Tour, Queenstown Region, Videos! Rated as one of the top drives in New Zealand to get here, it's a small but dramatic stop off on our way to the Top of The South. There's golf - even the club manager still gets distracted with the views apparently....! There's also a fantastic National Transport & Toy Museum and the eclectic sofa clad Cinema Paradiso. Christchurch Region, Destinations, Grand Tour, Videos! 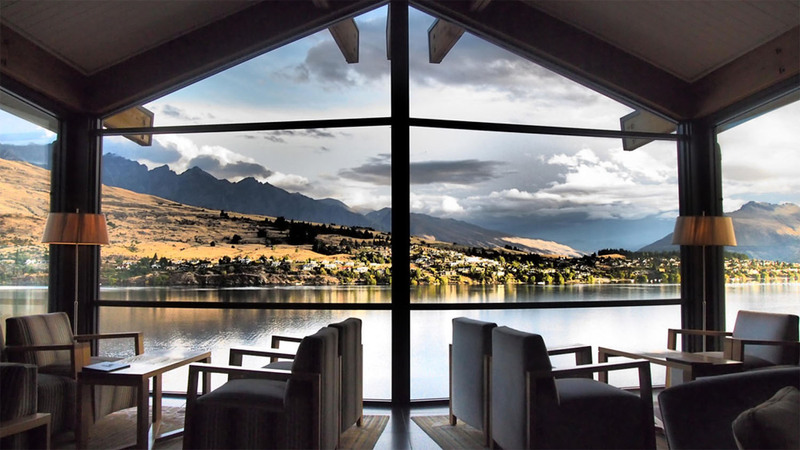 Secluded and romantic, boutique but quirky, The Arrow Private Hotel provides Arrowtown boutique accommodation which is distinctive, stylish and which offers a few pleasant surprises. Whale watching is the thing to do in Kaikoura, and most trips have a pretty high success rate of spotting them. A characterful and charming hotel in it's own unique setting, overlooking the quiet tidal estuary at Monaco yet only 5 minutes drive from Nelson CBD. A small but very delectably formed lunch stop overlooking a picturesque estuary, with boutique eateries and shops. Well appointed hotel set in delightful surroundings in the heart of Hanmer Springs, within walking distance to all Hanmer has to offer.....including those hot springs, open late into the evening. Blenheim provides many and varied opportunities for wine tasting tours, (alternative transport provided! ), cruises on the Marlborough Sounds, or just visiting gardens and the vicinity as you desire. Sometimes we may overnight around Lake Wanaka, sometimes at the quaint tree lined avenues of Arrowtown, but both reside in the glorious Wakatipu region of central Otago. Hotel D'Urville offers luxury boutique hotel accommodation in the heart of one of New Zealand's most famous wine regions. Click a category box below to view by Destination / Accommodation / Activity options on this tour. Choose stopovers from a selection of the fine accommodation options shown. Book ahead activities must be booked well in advance to ensure availability on specific days we pass through. Posts contain website links to provider companies for full information & latest pricing. Book direct or indicate interest on our booking form and we’ll co-ordinate for the group if sufficient numbers.